Simple top down tiny dress with a gathered skirt. 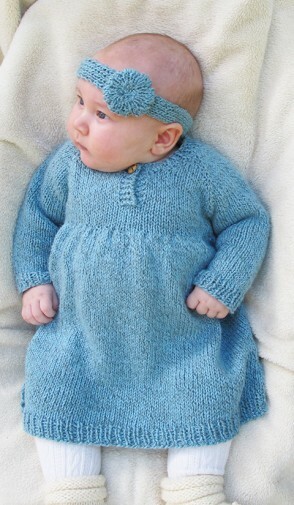 It is knitted with dk yarn at a soft gauge of 20 sts to 4 inches. 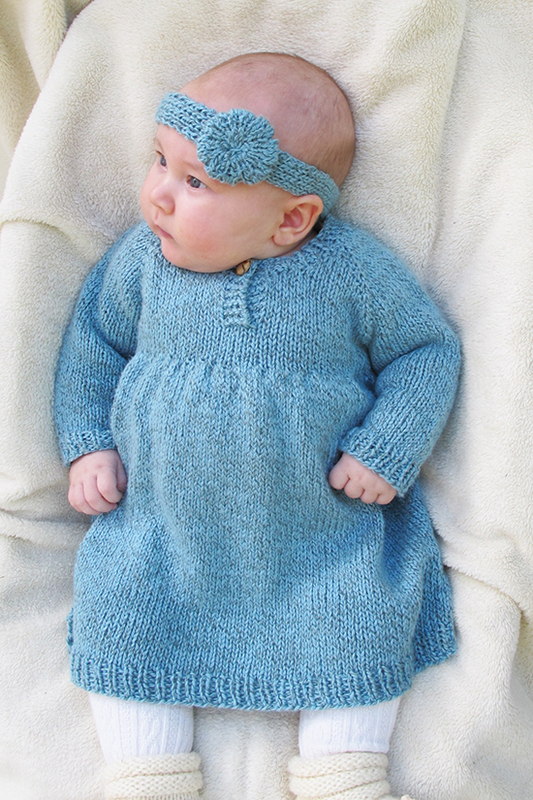 The yarn you use will give this dress lots of character, or if done in a single soft color, will set off the little one’s complexion. The optional ribbed headband can be embellished with the knit flower, a purchased decoration, or left plain. Sizes 3, 6, 12, 18 months. Sizes correspond to ready to wear baby clothes, not to the baby’s age.